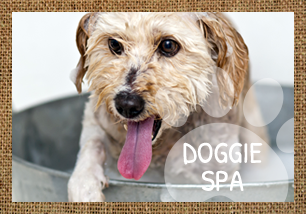 Located in Oak Hill Plaza in Scarborough, Paws Applause Natural Pet Supply and Grooming Salon is Maine’s premier grooming salon and pet supply store. Our mission is to improve the quality of life for your pet. That is why we carry only top quality pet foods. We work with pet owners to design a feeding program to meet the needs of your particular pet. We specialize in raw, freeze dried, organic, grain free and natural high quality protein diets, as well as natural holistic and locally produced treats and accessories. 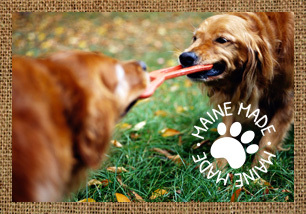 Made in Maine is one of our specialties! Raw feeding is primarily based on the thinking that dogs will do better with a diet based on what canines ate before they became domesticated. 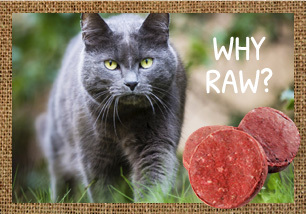 Potential advantages of a raw diet include healthier skin and a shinier coat, cleaner teeth, and higher energy levels. Some raw diets include commercially processed raw food, while others are frozen or freeze-dried. Paws Applause also carries a variety of five-star, natural and grain-free kibble. Wheat, soy and gluten-free diets are easily accommodated at Paws Applause. We also carry a wide variety of treats to keep the diet consistent. We discern our products and carry treats made and sourced in the USA. Paws Applause is your solution for tough chewers. Maine moose antlers are fantastic for cleaning canine teeth and gums. Pig ears, bully sticks and ham bones are just a few of the safe, all natural chews for satisfying your dog. Healthy, natural chew toys are important to their long-term health and well-being. Dogs and cats need a wide variety of toys. Toys can help cats and dogs expend energy in a positive manner. Throw toys, balls, ropes and squeaky toys give an outlet to release high energy. We offer salon style grooming, which means that your dog is left with us only for the allotted time necessary to be fully groomed. Using a combination of natural products and gentle and effective handling skills, our groomers provide individualized care according to the dog’s unique physical and emotional needs, from the youngest of pups to our precious seniors. Our National Certified Master Groomer and our Professional Certified Groomers can help you better understand your pets grooming needs. Paws Applause is your go to place for your dog and cat needs at affordable prices.